I'm at the point where I need to make a decision as to which of these keys would be produced. The idea would be to get them casted and then plated and then tarnished slightly to match the look and feel. Plunger housing is next (aiming for old block cell lock decal and to plate the housing in brass). So which shooter rod do you like best a) three ring key or b) simple merged hole key. Would be nice also to gauge interest. Feedback is always welcomed. Winning key will get the final touches it needs and truly deserves. I've revised the key. I've taken some of your comments into consideration. 1in" ball in the middle, and the arc in the front could also be used to pull depending what feel you like the best. Hopefully this will move me closer to a product that people like. 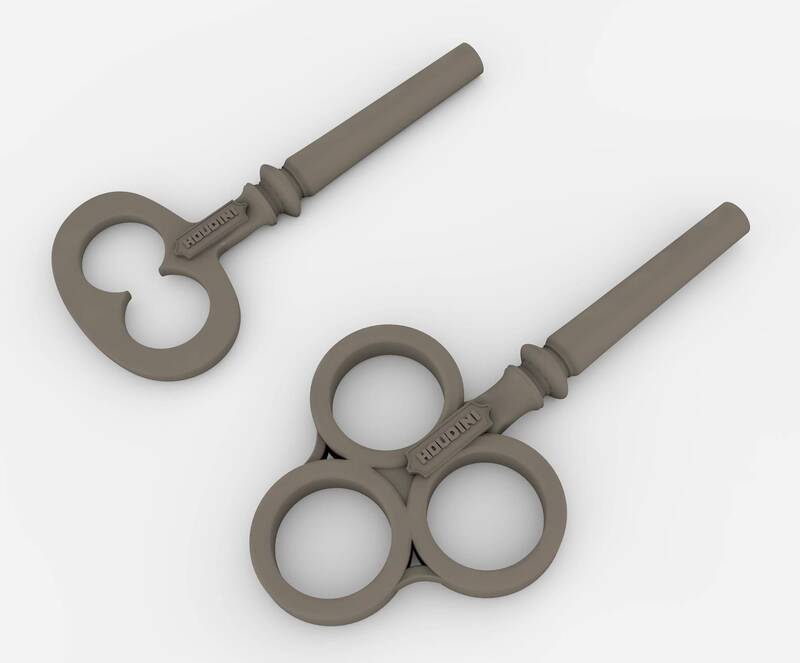 Please comment on latest design, spring will come snug to the first bulge in the key. Will also check the cost of brass plating the rod itself. 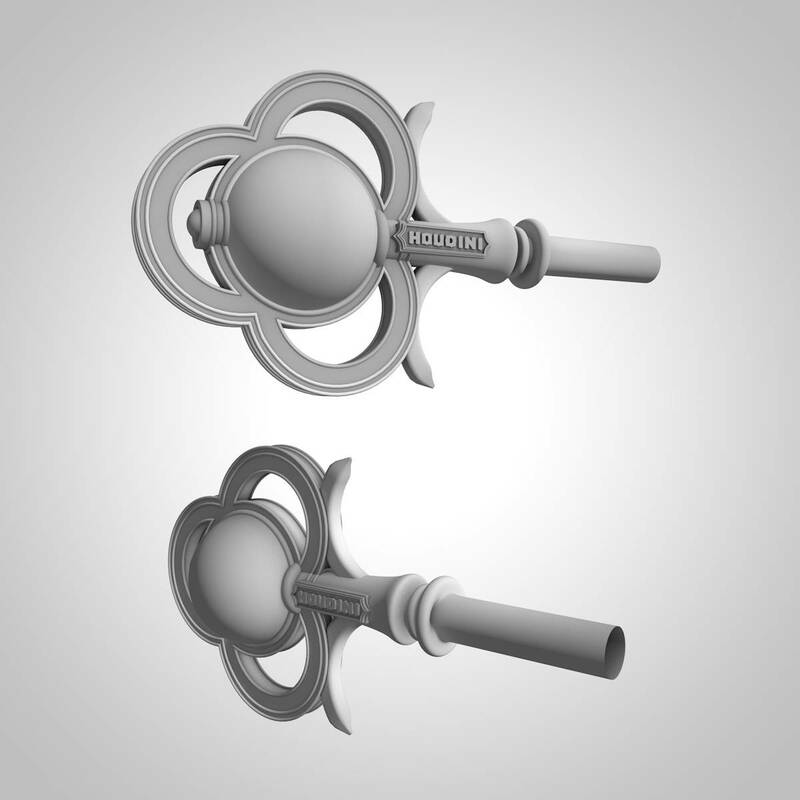 Other option with a more classic style rod end with some cogs integrated in the key. I really would appreciate some feedback. No help here, they both look cool! Yeah I was debating as the best one for grip to plunge. Neither, they look uncomfortable to pull as a plunger. 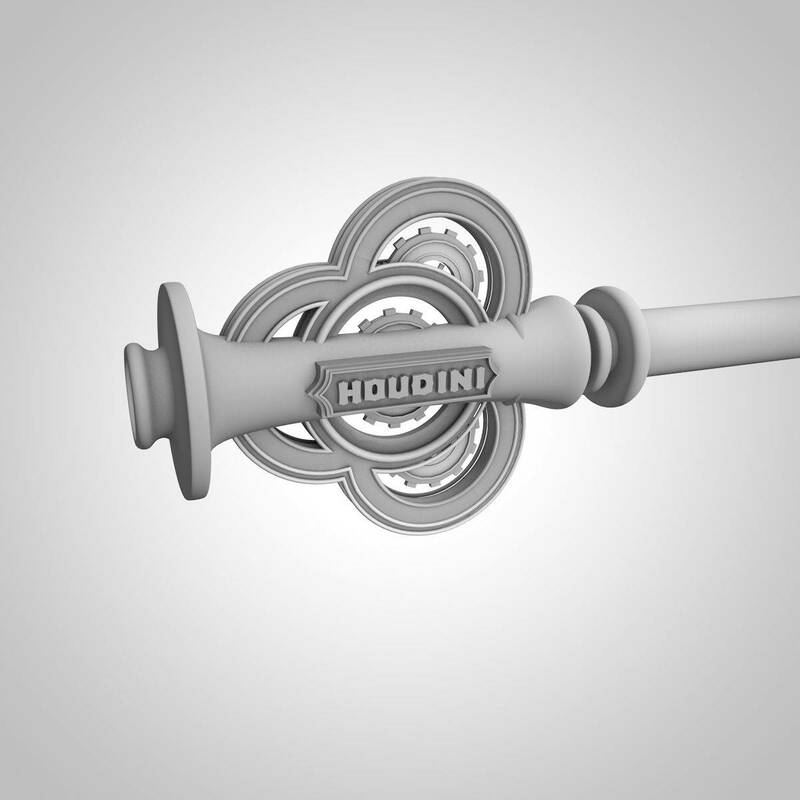 I have a Houdini and I don't think I'll ever replace the stock rod. I'm not a big fan of aftermarket ones. Best of luck to you, I would pick neither. Can you open a beer with either? 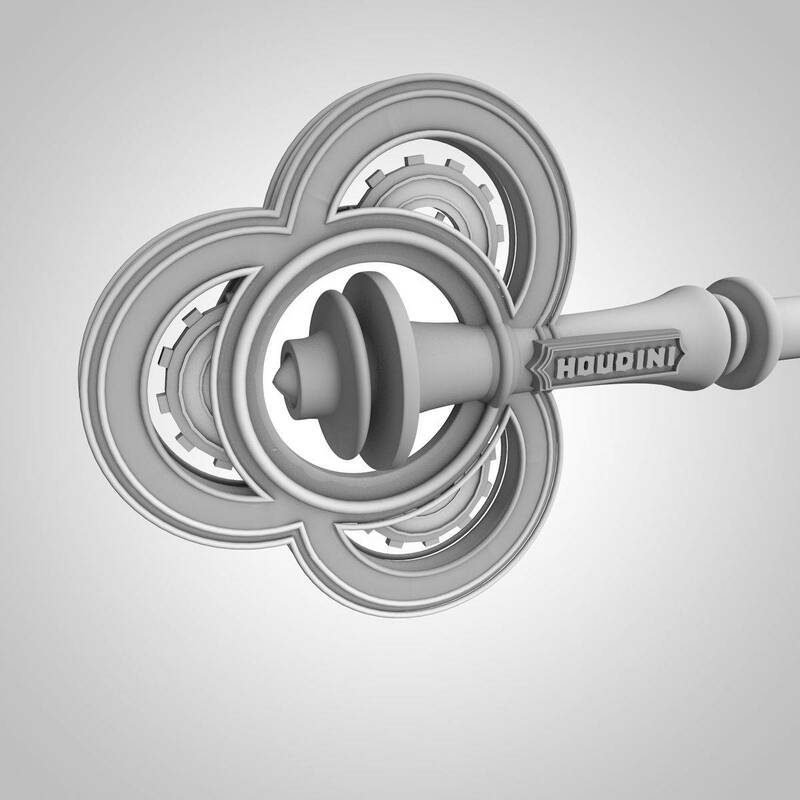 What about the top one, but with a perpendicular loop to the existing loop as well, so you can pull it like a regular plunger. Yeah from the feedback it will have to be refined. This. They look cool, I respect the effort and not trying to be negative, but they look really uncomfortable to grab and put force on. I've bought games from people who've put on weird uncomfortable shooters and I always take them off right away. Maybe you're thinking you'd insert your fingers to pull back? Dunno how that would feel, but hard to fight people's ingrained methods for reaching out and plunging. For the amount of work and time you'd put into doing something cool like casting them I'd aim for something that people will feel good holding, that's gonna lead to more success for the effort, imo. Wow! They are BOTH pretty cool! Definitely have to refine sizing. I'm more wondering if people prefer the ball versus the classic "sort of" end. Here another version making full access to the rod end. Sizing would have to be factored in. It's hard for some people to image but I do believe once this is in old tarnished brass that it will fit right in. Again this is roughing it but gives people a pretty good idea. Clever.....post 15 one looks great. But man, ive hurt myself so many times in game room on my Indy gun, this worries me with family and friends. Your on one plain, how about now making it more rounded, adding more loops and gears to get into more of a ball? Well I refined another version. This will help me strike a balance. I do believe this would offer the most access and Still end up looking cool. Looking less and less like a key though. Post 14 and 19 are my favorites. Although I am not a fan of the "half gears" in the Club lobes because... well they look way too fake, half a gear with air below them. To be fair, all of your designs are cool except that last one, #22. Quit while you're ahead. Tacking on a traditional knob to a key makes it look like what it is: an afterthought tacked onto an overwrought design. Plus, how far would that stick out? Not good either way. Your earlier versions were far more elegant! I like all your new options. Post #18 is probably the most universal, options with text the front could bother OCD people since they might look "off" when the plunger rotates around over time, as it will, and the text ends up upside down. well had a few more thoughts on it. Since your asking for opinions and suggestions I'll toss mine out there. The one thing I dont like about custom shooter rods is they rarely look good on the machine static unless adjusted. My goal would be to have a shooter that looks great after you plunge it and release multiple times. Faces and objects that tend to go sideways or upside down bug me (little ocd). So that being said I like the traditional ball center post #13 but lose the two front facing prongs. The shaft attaching point needs to be a strong as it can be so I would remove the ornamentation at the attaching point. Lastly it needs to come out no more than 3 inches from the housing so scaling is key (pun intended ). 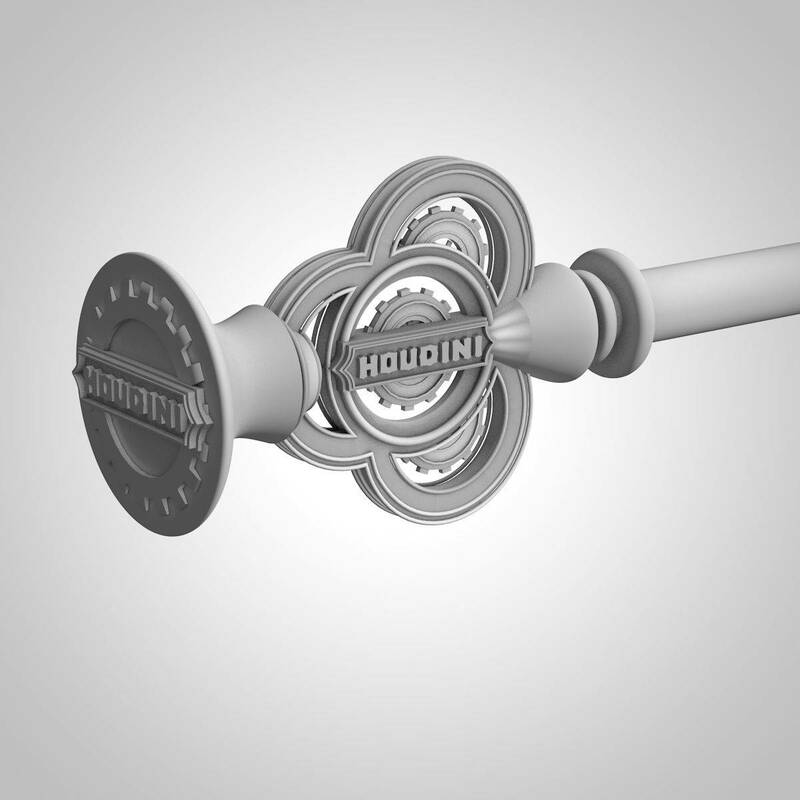 Move he Houdini logo forward centering between attaching point and ball. 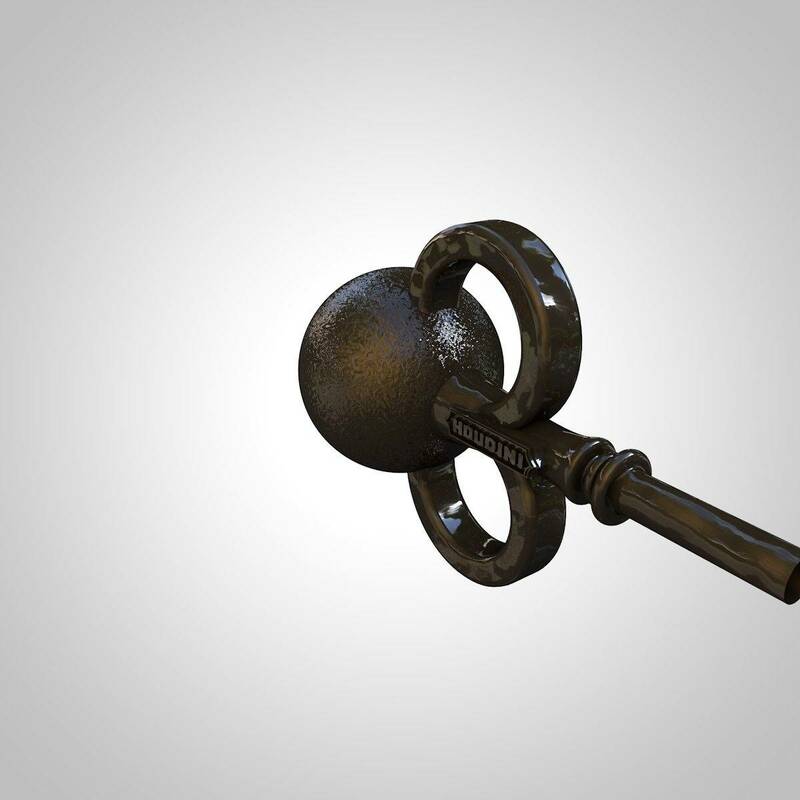 The fun thing about a key is that technically it doesn't matter at which angle it is turned. If you think about it you have to turn the key to open a lock. I've gone and did a completely simplified version with a ball. The more I look at the other ones i feel they might be too intricate. Aiming for some form of actual metal plated in brass-ish / copper-ish material and then aged. In other words, I don't intend it to be the el cheapo mod. Something sort of like this finish, less glossy more tarnished. I think they ALL look SUPER cool but my favorite is pic marked key_camera4. NICE WORK! I like the look of post #31. Depending on the cost and material, I'd consider ordering one. Did you ever make these?